Have a slate patio installation done today by the best in the business at Premiere Quality Masonry. Our custom slate patio installation service comes with our guarantee and professional masonry experts that have over 40 years of experience in this old world trade. Choose a beautiful natural color to go with your decor out of the many options we provide and ask our staff to help customize your project to suit your style and budget. Slate patio installation is something that should be left to the professionals and at Premiere Quality Masonry we are the only choice. Premiere Quality Masonry also offers customized projects such as fireplaces, planters, walkways, patios, siding and any outdoor or indoor ideas that come to mind. Check out our portfolio online and get a feel for what we are all about. You have probably even seen some of our custom designs around the area. We know the importance of quality and great products and that is exactly what we provide. Call on us today and sit down with one of our designers to go over all the details of what you require. We want it to be perfect and exactly how you want it in the end. We are easy to find and look forward to meeting you. Give Premiere Quality Masonry a call first when you need a masonry installation service. Our team of experts are the best in the business when it comes to masonry installation service and more. We love what we do and always provide excellence in doing so. Whether you need a fireplace, siding, walkway, driveway or any area of the home inside or out, our masonry installation service will get it done right and according to your schedules. Brick and stone work is our specialty and we have a variety of colors, hues, textures and styles to choose from in that area. 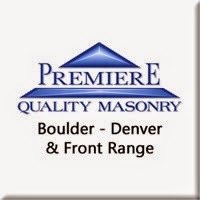 Premiere Quality Masonry is waiting for your call or visit today. Visit our webpage today and have a look at our photo gallery of some of the designs and styles we have achieved for customers over the years. We think you will be impressed by what you see and we have even been featured in some local magazines for you to browse through. If you need some assistance with your masonry installation service, just ask one of our staff or contractors and they will get to work quickly on providing you all the answers. We look forward to the opportunity to chat with you on your next idea or project at Premiere Quality Masonry. At Premiere Quality Masonry, we are your only custom masonry specialists for exquisite brick and stone work for your home or outdoor entertaining area. We have over 40 years as custom masonry specialists and people trust and believe in our products because they stand the tests of time and look absolutely stunning against a natural background. With a variety of colors and textures to choose from, we are certain our custom masonry specialists can help you design that perfect walkway, patio, fireplace or planter to enhance any area you have in mind. Premiere Quality Masonry is a name people know in this area as being the best custom masonry specialists around. Give us a try today and let us show you what a difference we can make to any area of your desire. Be sure to refer to our photo gallery for inspiration and ideas to get you started. All this is on our website, or you can stop by and visit one of our experts and get creative with them. We are the experts in this old world craft and we know the trade like no one else, but most importantly, we love what we do and the results we achieve at Premiere Quality Masonry. Where can you get custom brick work from people that really know their trade in stone and custom brick work? Only at Premiere Quality Masonry. We are a fine, honest and ethical company with tradesmen and women that love what they do and can create some amazing custom brick work designs that your whole family will enjoy for a lifetime. From patios to fireplaces, walkways to planter pots and more, we can do anything your heart desires when it comes to outdoor stone and custom brick work. Premiere Quality Masonry should always be your first choice for selection, quality and precision. Call us or visit us today and be sure to check out our photo gallery of some of the great custom brick work we have done in the past. We hope you will be inspired and impressed by our selection, colors, textures and more. Let our designers sit down and discuss all your options to ensure you get exactly what you are wishing for. We know how important your home or place of business is and we can provide a welcoming entrance that will last throughout the years. Premiere Quality Masonry has over 40 years of great products and custom designs, be sure you get your design today. Are you in need of a qualified and talented brick masonry installer for your next upcoming project? We can help at Premiere Quality Masonry because we are a company with over 40 years of experience in an old world craft that few people are rarely finely skilled at. Our brick masonry installer will most certainly be one of the most talented tradesman you will ever meet. We listen to our clients’ needs and desires and bring the exact final product to the table so you can enjoy years of quality and perfection in your home be it for a patio, walkway, driveway, planter, fireplace or more. Premiere Quality Masonry is a leader in the industry and we look forward to providing a brick masonry installer that will get the job done right. At Premiere Quality Masonry, you can see our work all over the area, in commercial areas, residential and rural. We love what we do and it shows by the great referrals we receive and the quality work we provide to each and all of our customers. Let our brick masonry installer give you a superb end result that you and the whole family will love. Call us today for a free quote. With Premiere Quality Masonry, obtaining a flagstone patio in Denver area is simple. We are locally owned and operated for over 40 years and we are the first and only choice when it comes to your masonry projects such as a flagstone patio, walkways, planters, siding, outdoor fireplaces and more. We specialize in all types of brick and stone work and we guarantee your flagstone patio will harmonize nicely with your existing landscapes. Premiere Quality Masonry is hands down the only choice for your flagstone patio today. Call us for a quote or visit our webpage and browse our photo gallery. No job is too big or small for us at Premiere Quality Masonry and we even have a masonry contractor to help you out on your commercial dealings or large projects. We know the value of good masonry and the art of this old world trade and we excel in every way in this industry. Have a look around the surrounding areas and you will probably see some of the unique designs we have done for our clients. We know you will be thrilled with the results we can achieve at Premiere Quality Masonry and we look forward to the opportunity to help out. Finding a Denver masonry contractor that is honest, prompt and reliable is a breeze when you have Premiere Quality Masonry by your side. As our name suggests we are the only masonry contractor and business that offers you extreme quality in this old world craft. The art of masonry is amazing and rewarding when you see what Premiere Quality Masonry can design for you and our masonry contractor will work side by side with you to create exactly what you desire for your indoor or outdoor living area including fireplaces, brick walls, walkways, patios, siding, planters, mailboxes and more. No idea is out of our realm and we will do our absolute best to satisfy. Ask our masonry contractor today for a quote on your residential or commercial project and we will get back to you promptly with the answers. Be sure to have a look at our webpage to see some of the previous work we have done in the area and surrounding regions to get inspired. We know you will like what you see at Premiere Quality Masonry and our masonry contractor is standing by to answer any questions on the subject. With over 40 years of service we are proud to be serving you.